Lodhi-garden in Delhi. Delhi has many beautiful gardens all around mostly built during Mughal period or other dynasties. 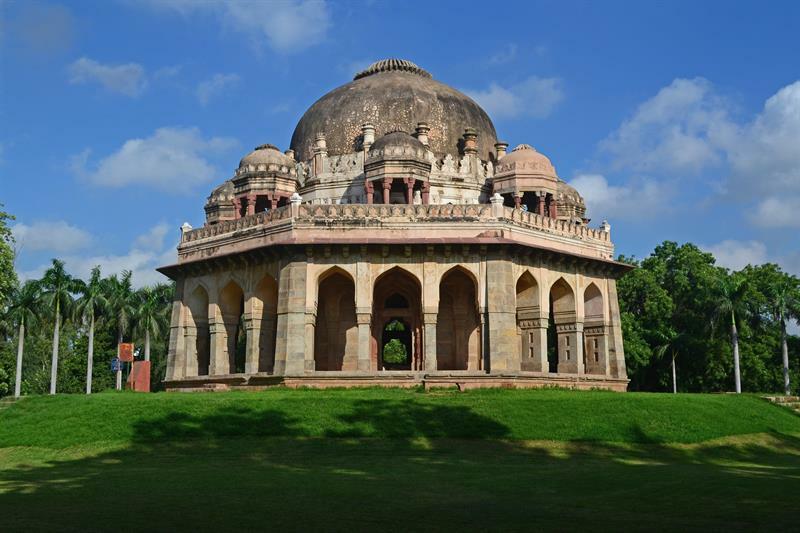 Lodhi garden is one such garden built during Sayyid dynasty and the Lodhi dynasty. It was built around 15th to 16th century. It is located very close to Humayun’s tomb. One can plan to visit both the places on the same day. What we see today is Lodhi garden after the reformation done by JA Stein and Eckbo in the year 1968. Known for its beautiful architecture and clean garden, it attracts not only tourists but also local Delhities every day. It is a very good place for morning and evening walk. The tombs that are present inside the garden are of Mohammed Shah, Sikander Lodhi, Shisha Gumbad, Bara Gumbad. Shisha Gumbad and Bara Gumbad have the architectural beauty. The tombs are in the middle of the garden. Bara Gumbad consists of large rubble construct dome, a three domed mosque and a central courtyard contains the remains of water tank. The tomb of Mohmmed shah has Chhajas on it and is visible from the road. Ibhrahim lodi son of Sikander Lodi built a tomb in his father’s memory in the garden. this tomb doesn’t have chattris. It was built in the year 1517. The tomb was further renovated during British period and they have added some inscriptions on the tomb. During the British period the garden was further beautified. It was landscaped by lady Willingdon. Hence after the inauguration in the year 1936 it was also named as Lady Willingdon park. 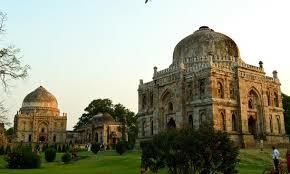 Lodi garden has is beautified with landscaped garden, small lakes and the tombs. The architecture is in sync with nature and manmade beauty. Inside the garden one can look at the water course which connects Yamuna river to the Sikander Lodi tomb. Lodi garden is a good picnic spot for the local people and good hotspot for morning walk and students alike. Yoga is also practised very day in the morning hours here. Nearest metro station: Jawahar lal Nehru Stadium metro station. 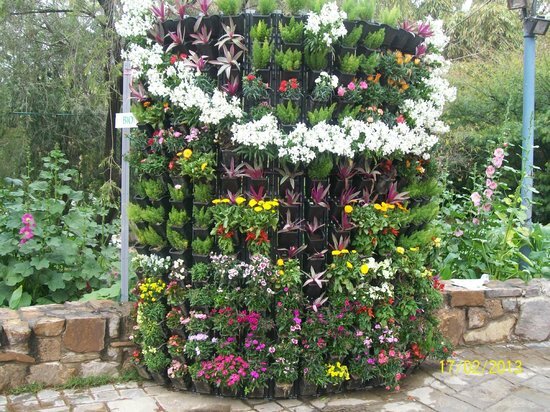 Delhi is famous not only for quila’s, temples, and forts but also famous for its garden all around. One such garden which every tourist must visit is the garden of five senses. Truly it opens all your five senses when one visits this garden. Inaugurated in the year 2003, this garden has small water fall, shrubs, herbs, fragrance of flowers everything which one truly can enjoy the nature’s beauty. The garden is perfect place to host an array of various activities. Delhi tourism and transportation development initiated and developed this garden under the guidance of the architect Pradeep Sachdeva. It took three years to build with a cost of over 10crore before it was opened to public in the year 2003. Different cultural programmes are held here like food festival, tourism festival in February, and dhandiya festival held at different time of the year. The northern part of the garden has rocks and slopes. It also contains a sculpture made up of stainless steel. There is an amphitheatre as well with seats made up of rocks. 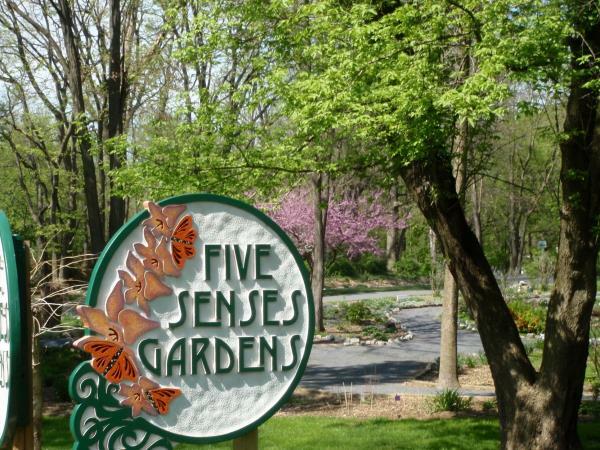 Garden of five senses is natures pride. One can enjoy the nature to the fullest. It is more than a park. The details of the trees are depicted below the tree so that one can gain knowledge about the plants and trees they are seeing. Location: Said-ul-Ajaib Mehrauli-badarpur road, close to Qutb Minar, Delhi.